Suzannah oversees the Schoolyards Programs at Common Ground, including the School Garden Resource Center and Schoolyard Habitat Programs. The School Garden Resource Center (SGRC) supports schools in designing, building and maintaining a school garden through funding, consultation, a Common Ground work crew (through the Green Jobs Program) to help on workdays in the fall and the spring and on-site lessons with our educators. Before coming to Common Ground, Suzannah spent a year at The Farm School in Athol, MA learning how to be an organic farmer in the Northeast. 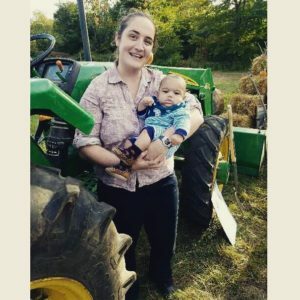 Suzannah knew she wanted to combine her love of the outdoors, farming and working with youth (after spending ten years working as a teacher and administrator in a variety of public schools in New Haven, CT, Boston, MA and the Rosebud Reservation in South Dakota). She has a B.A. in English Literature from Yale and an M.Ed. in Urban Education from the Harvard Graduate School of Education. When she’s not at work, Suzannah enjoys spending time with her family, taking walks with their golden retriever Pablo and going to her son’s hockey games.